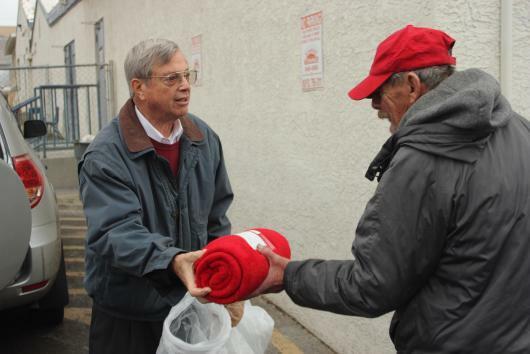 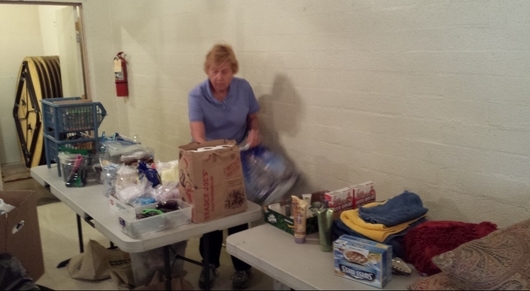 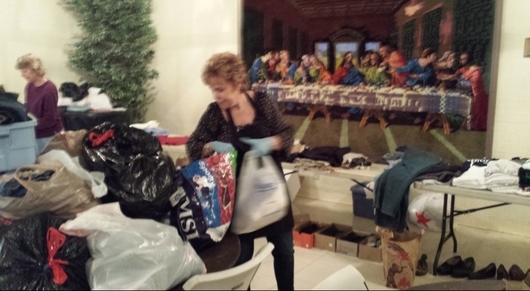 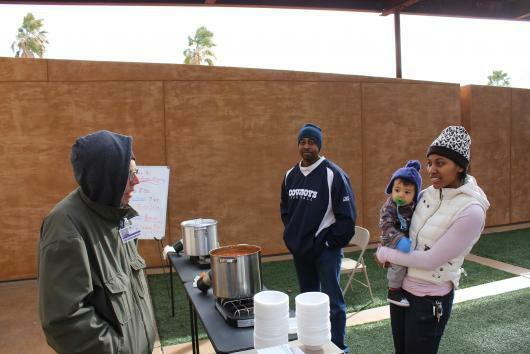 Also at Christ Church, various Churches and Organizations come together to provide God's children with food and clothing. 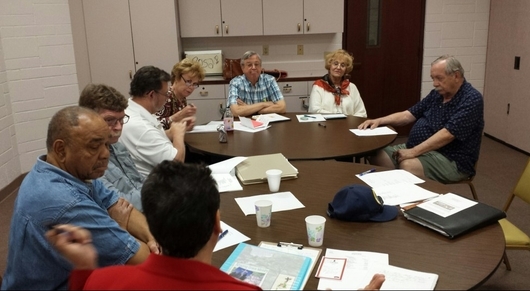 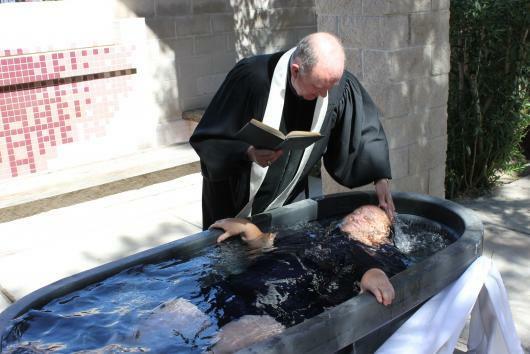 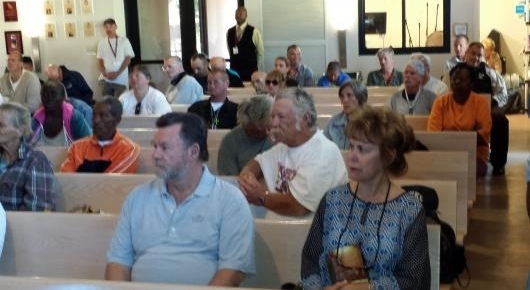 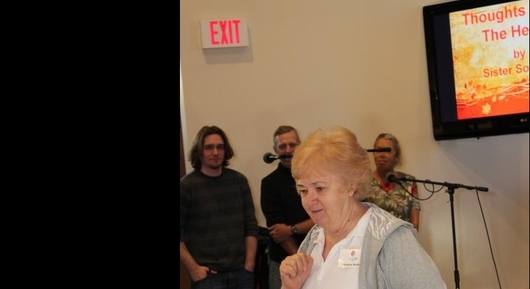 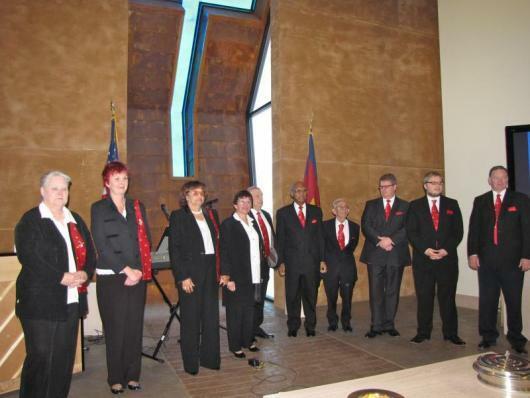 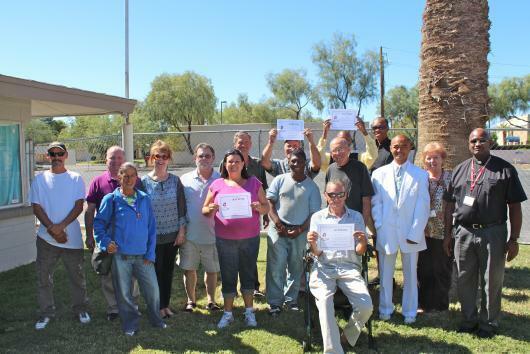 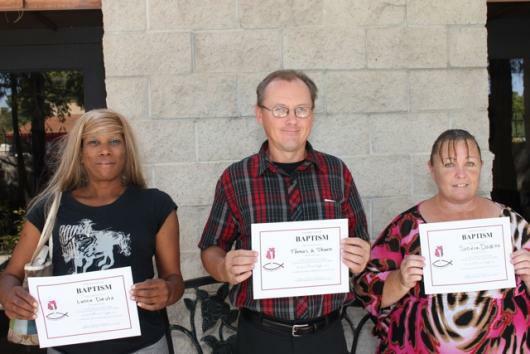 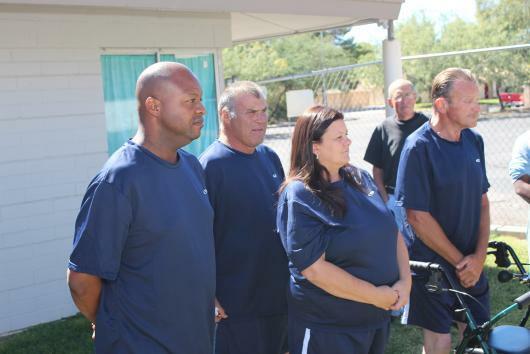 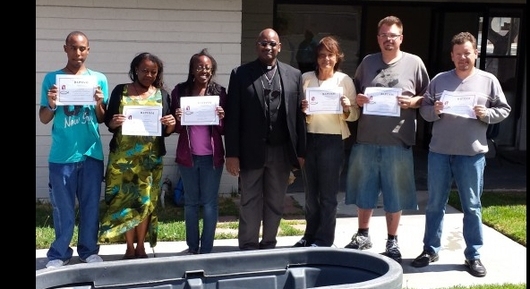 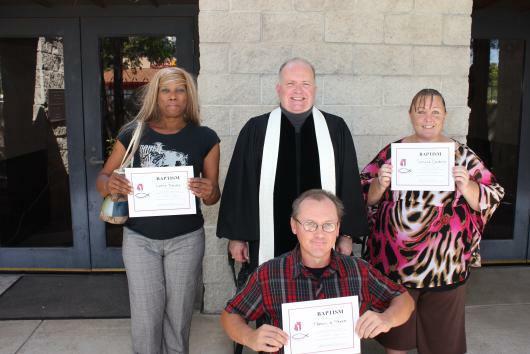 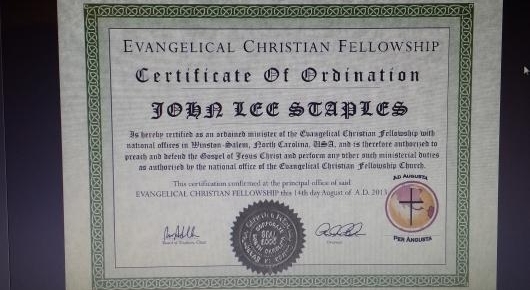 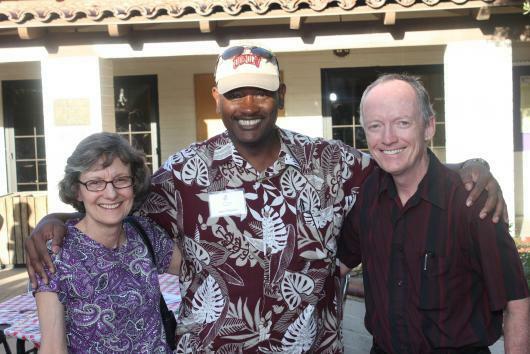 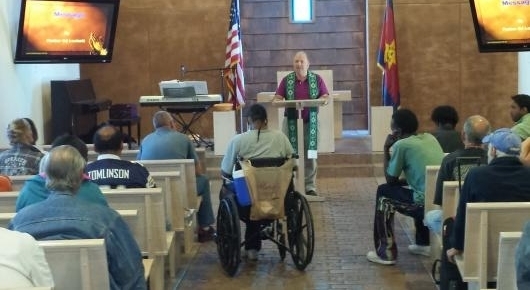 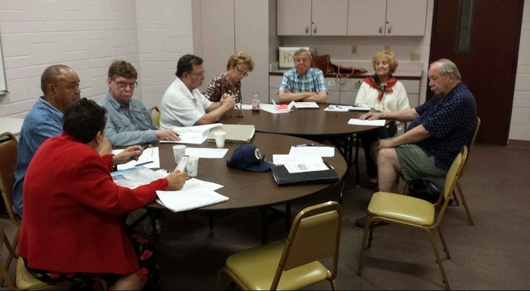 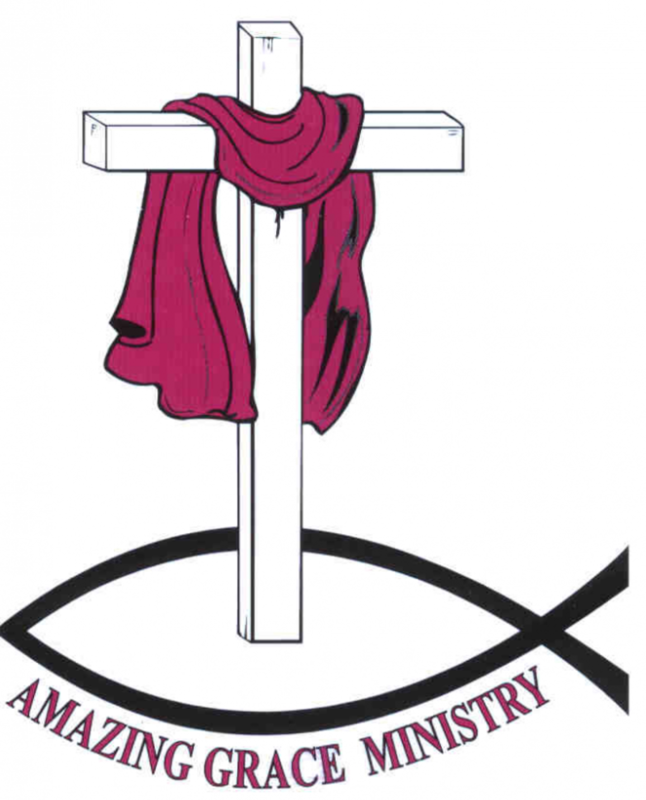 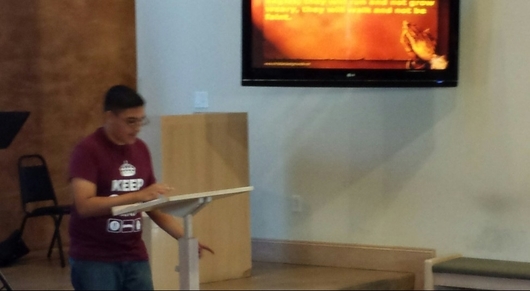 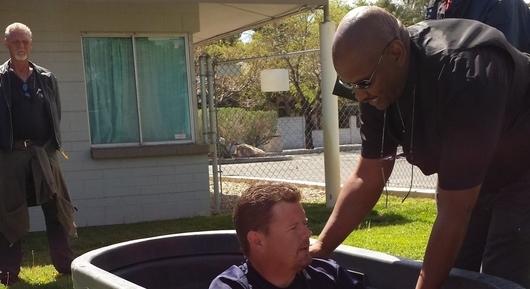 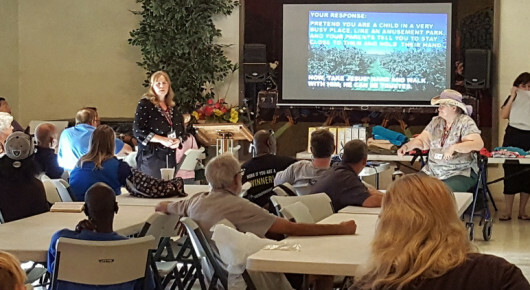 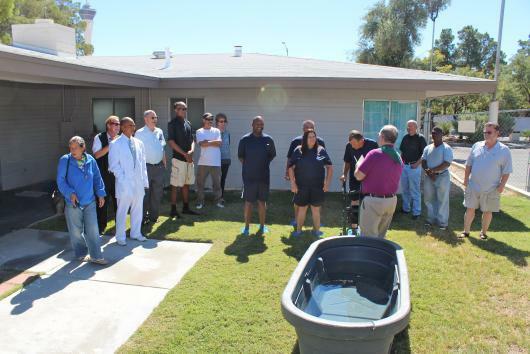 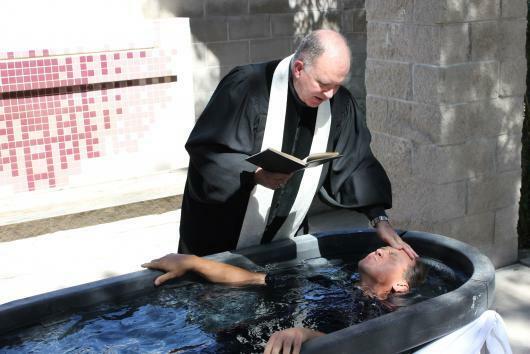 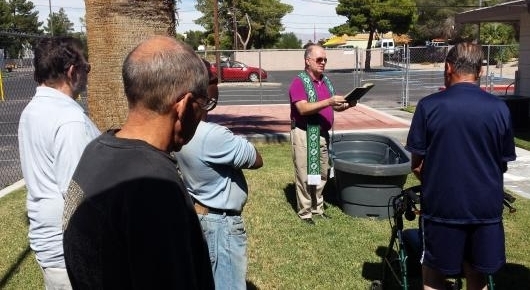 Amazing Grace Ministry is a private, not-for-profit Corporation, and a special ministry of "The Nevada Presbytery." 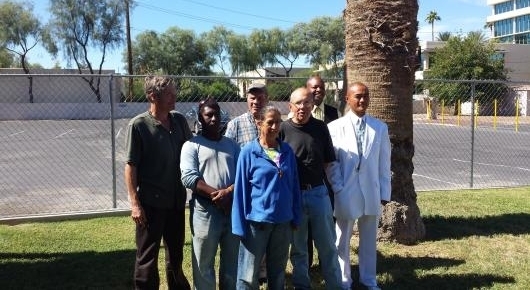 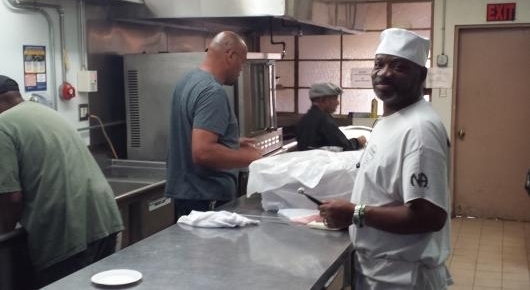 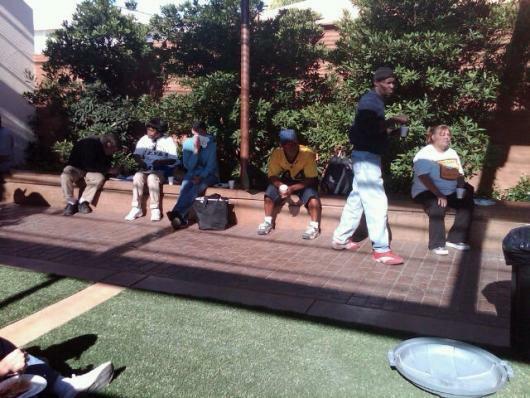 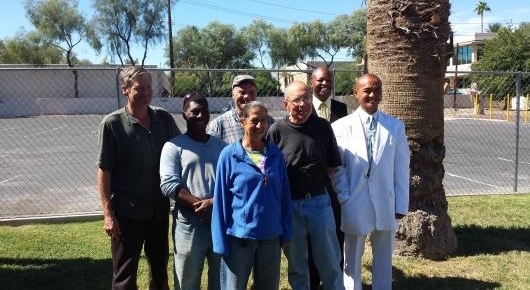 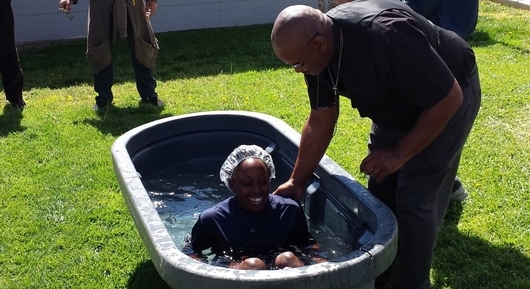 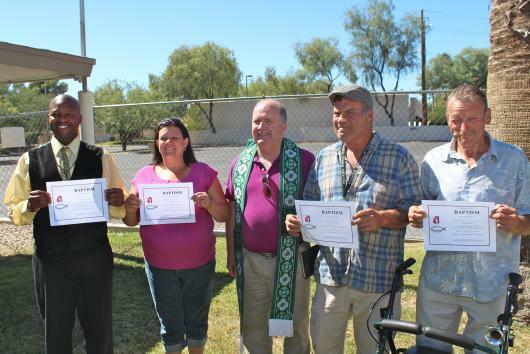 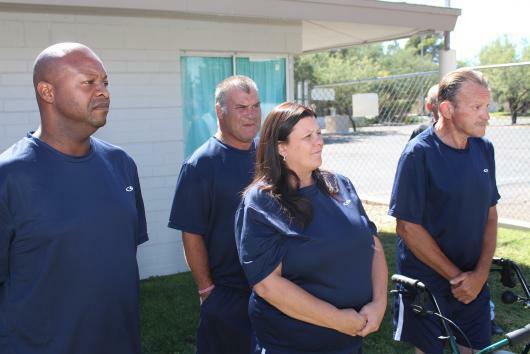 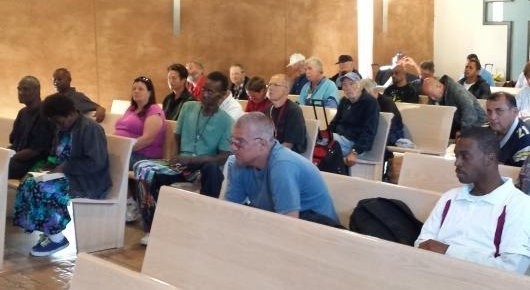 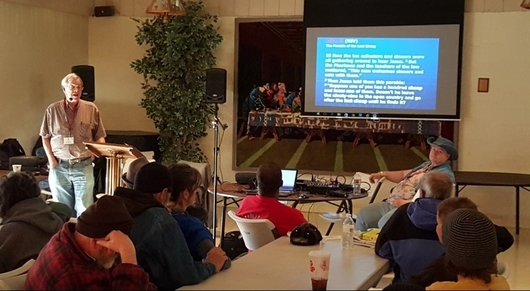 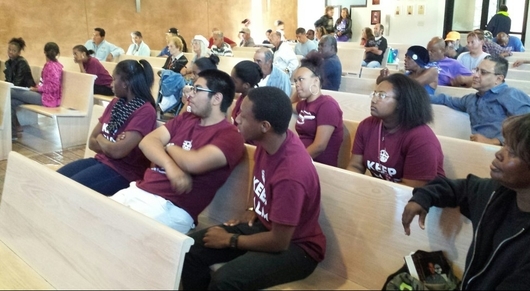 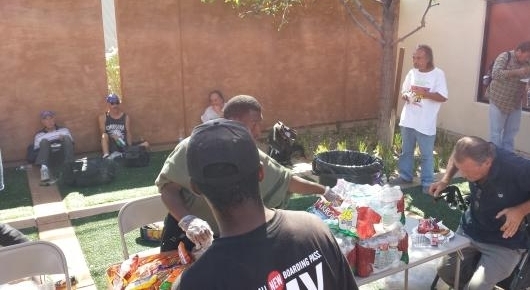 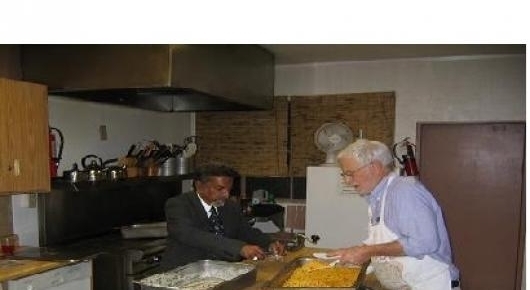 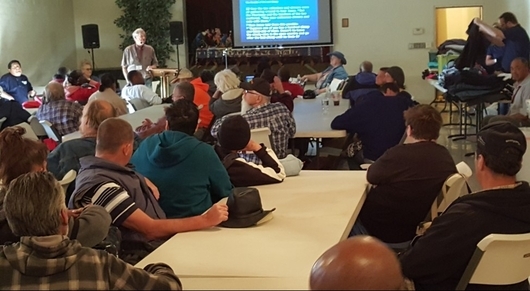 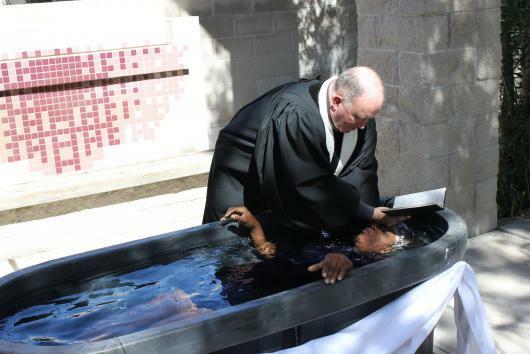 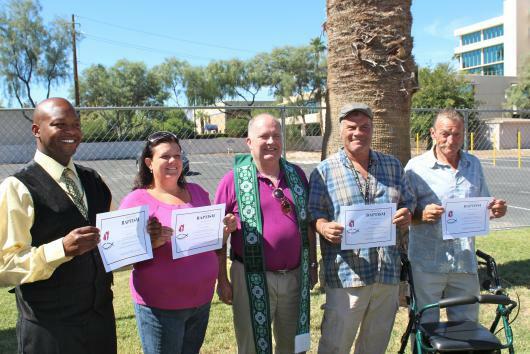 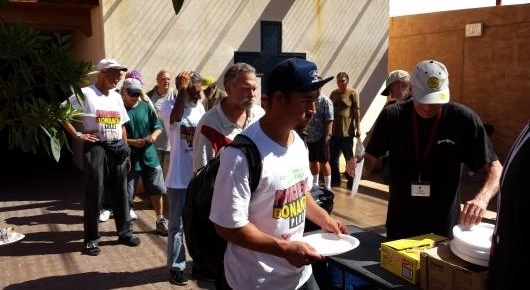 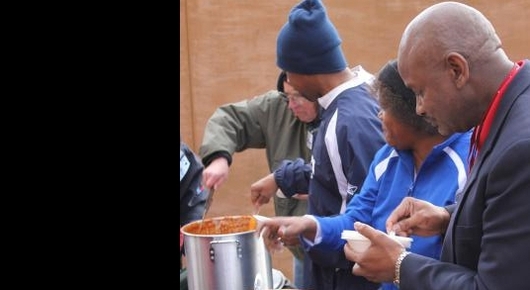 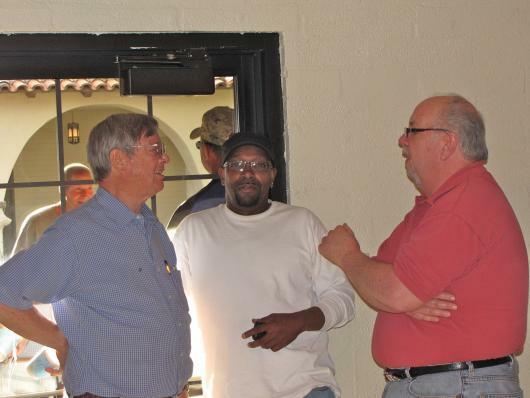 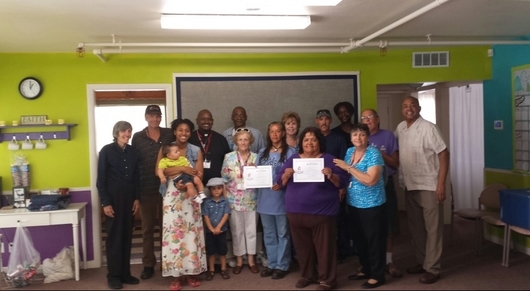 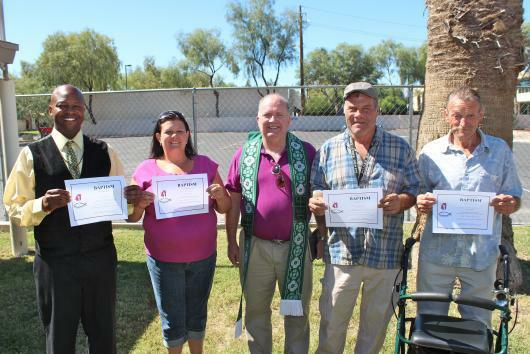 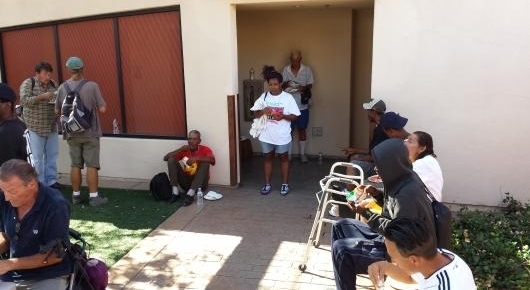 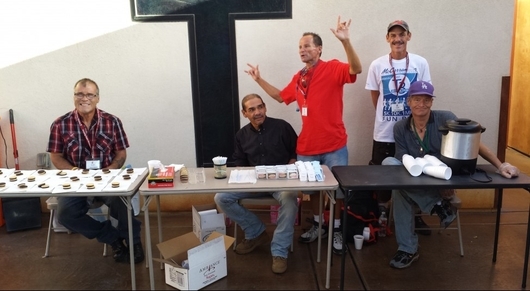 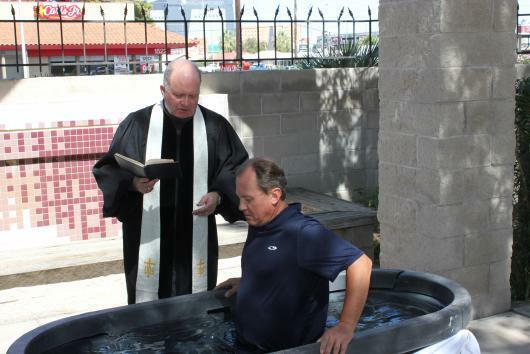 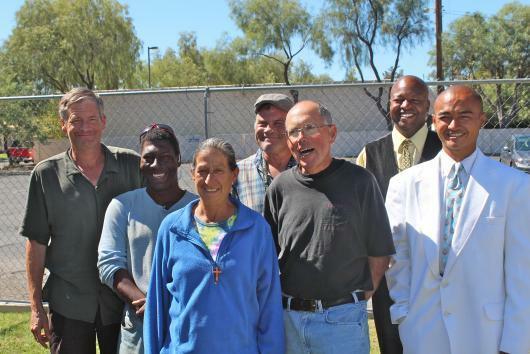 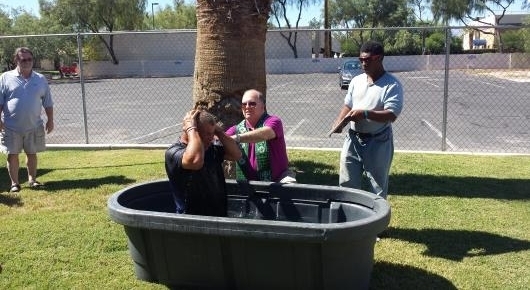 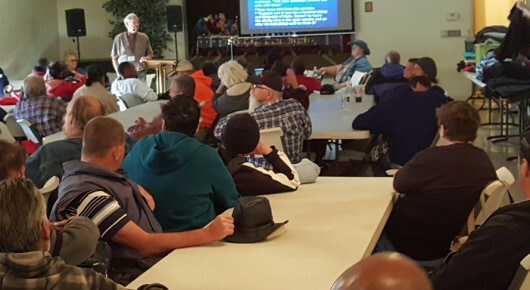 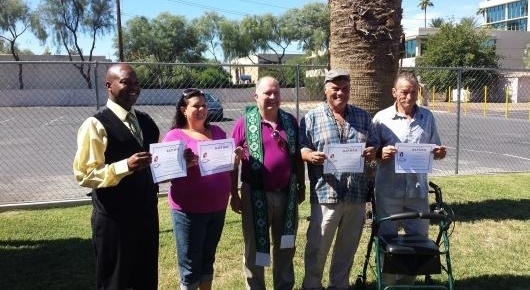 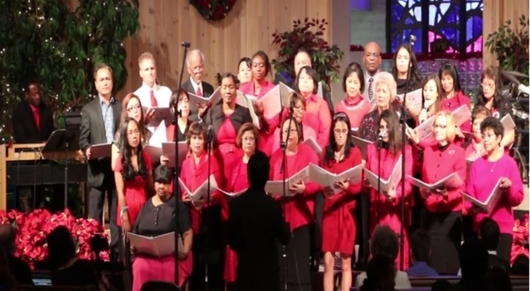 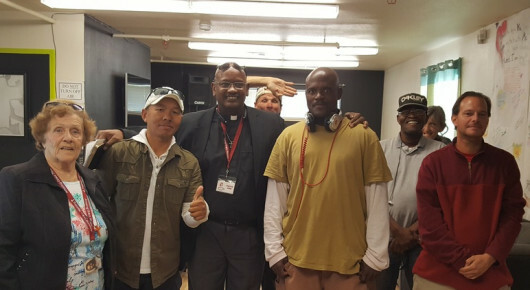 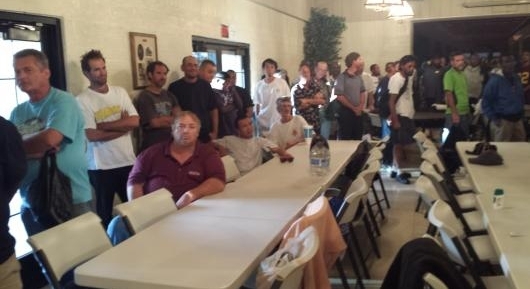 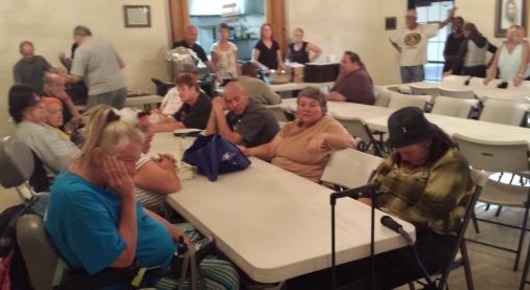 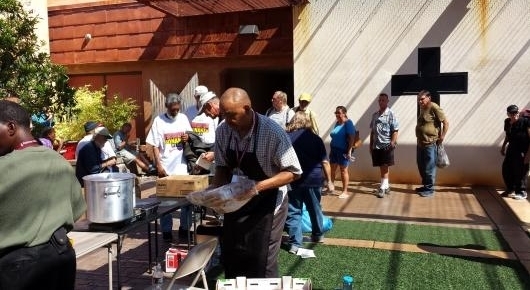 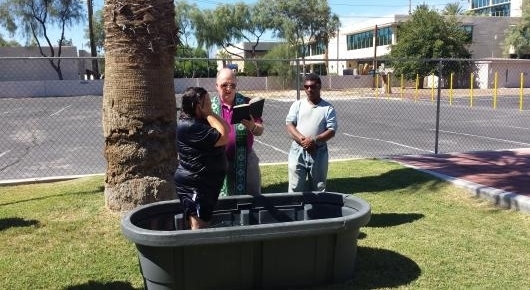 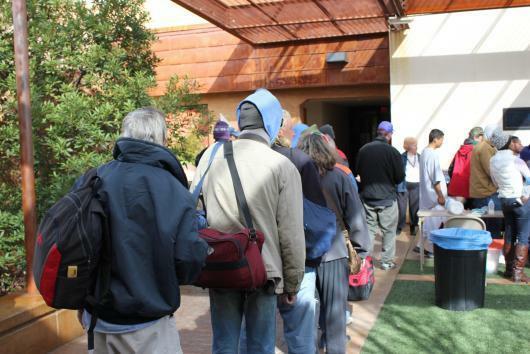 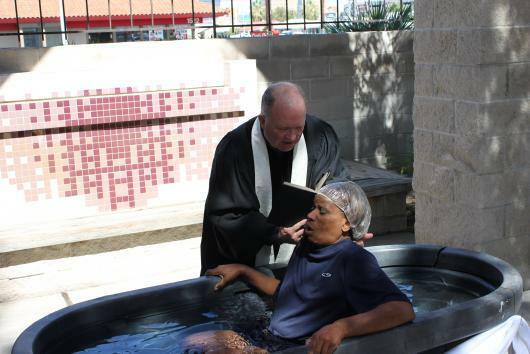 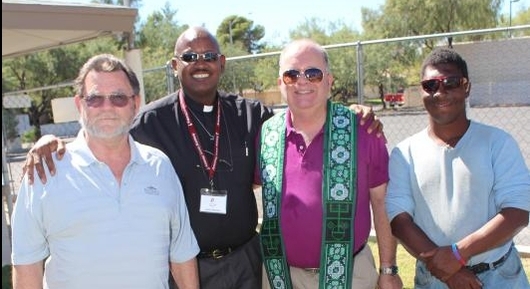 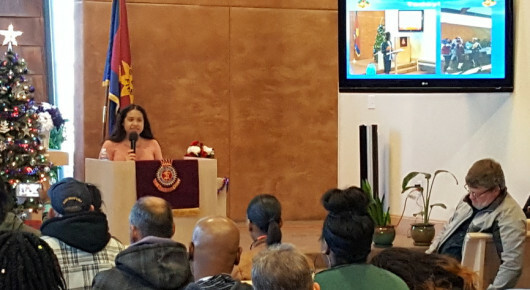 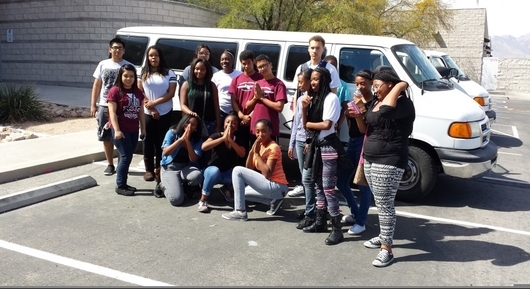 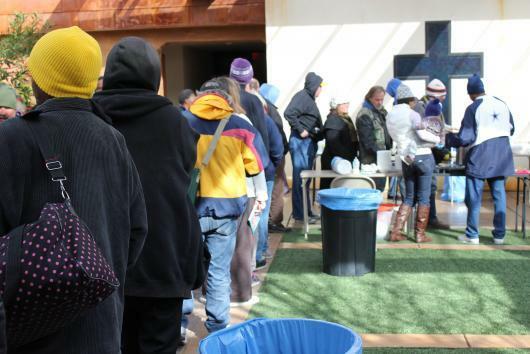 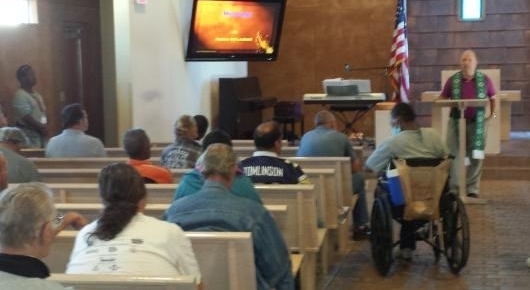 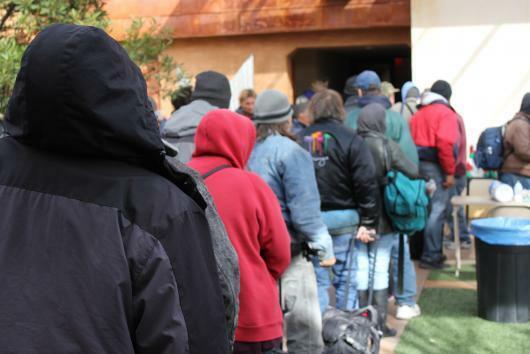 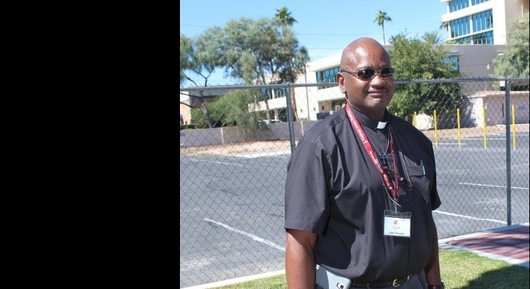 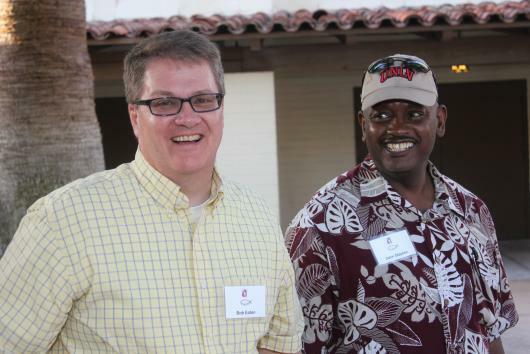 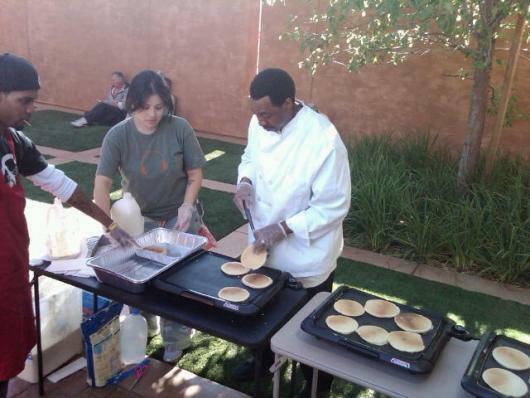 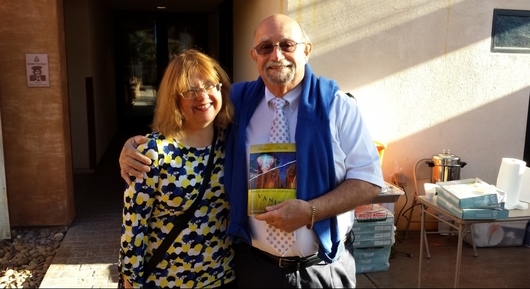 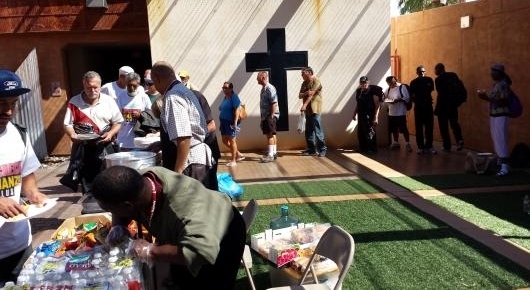 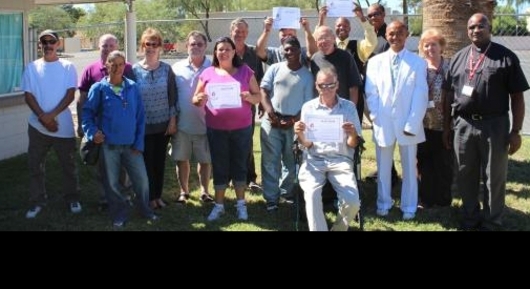 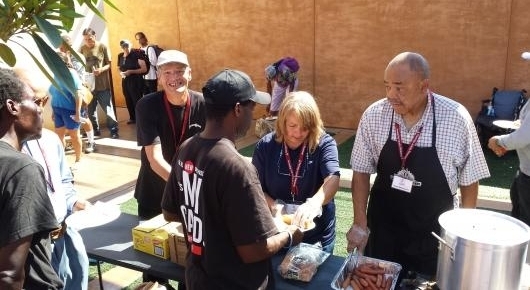 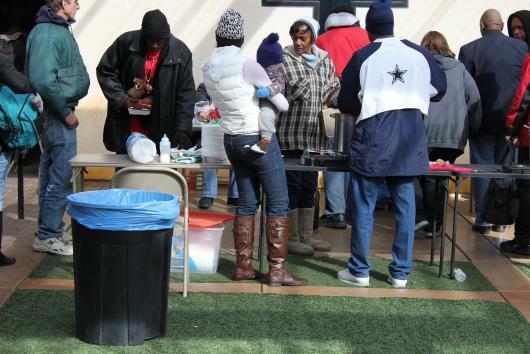 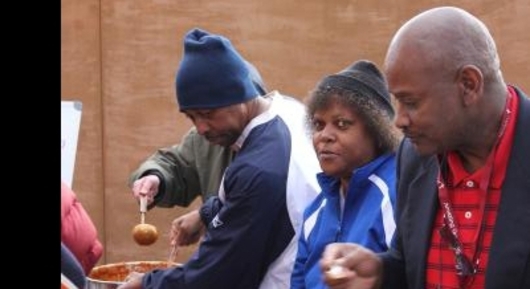 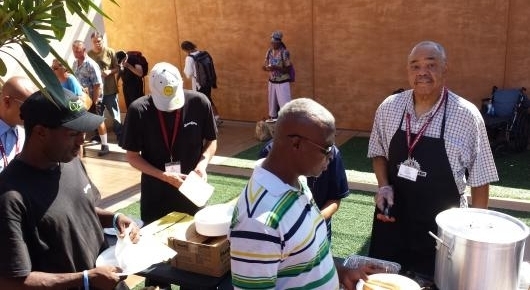 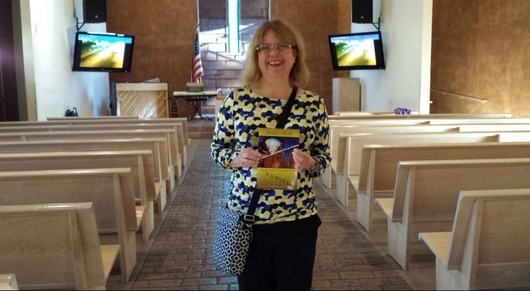 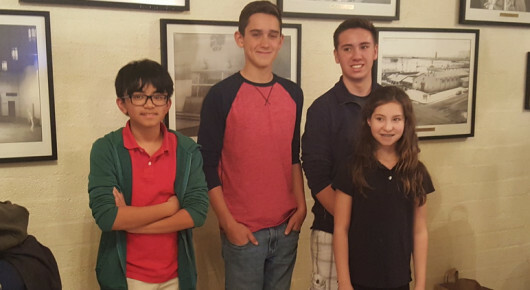 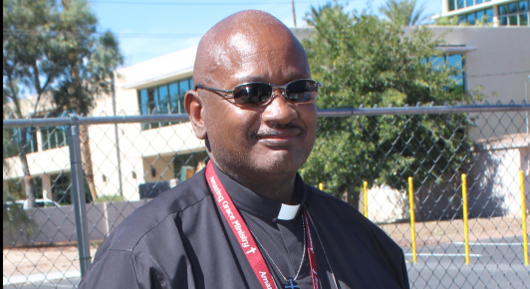 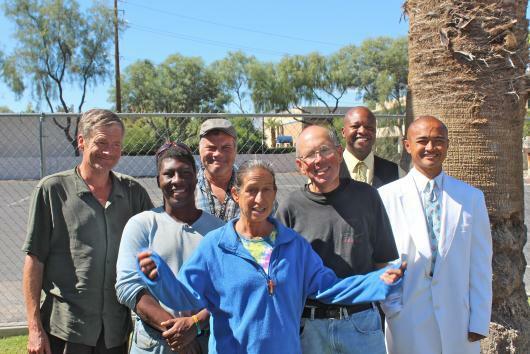 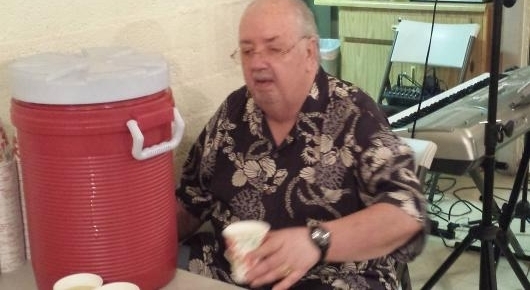 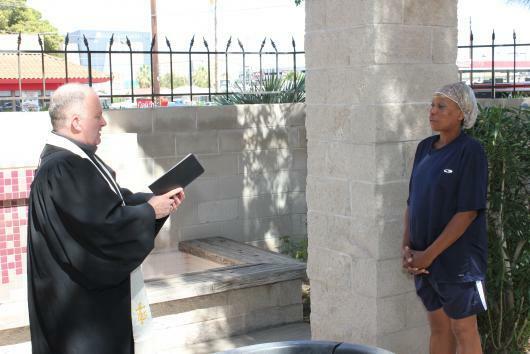 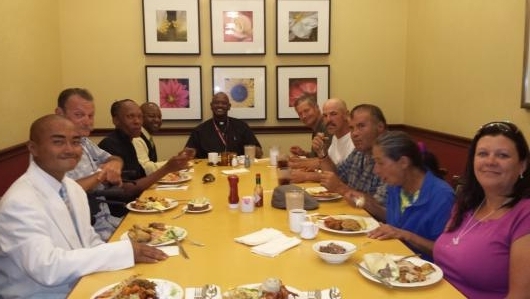 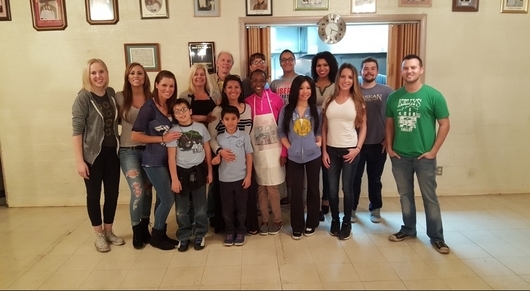 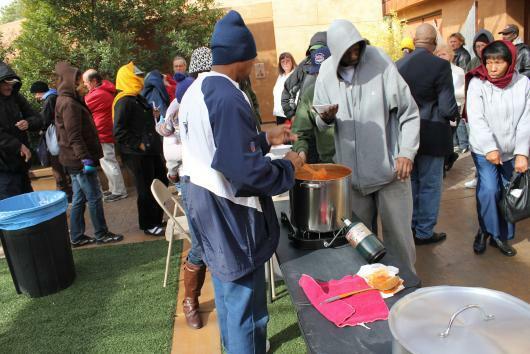 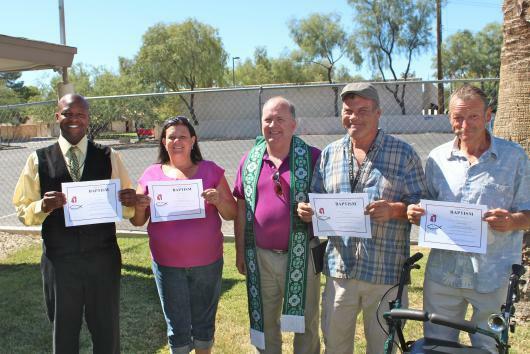 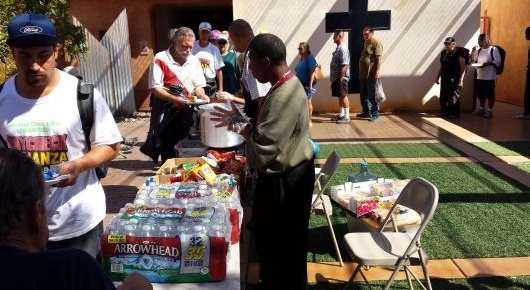 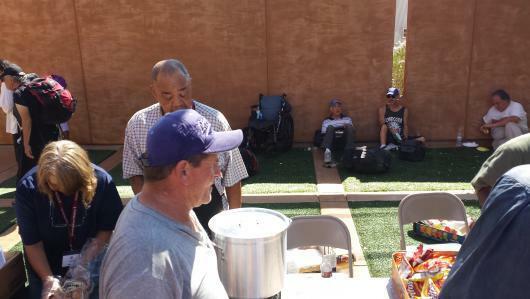 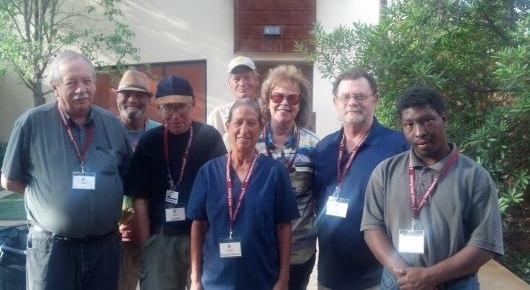 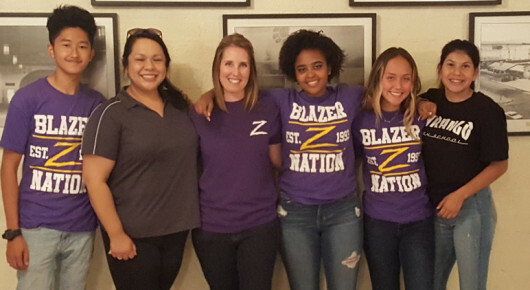 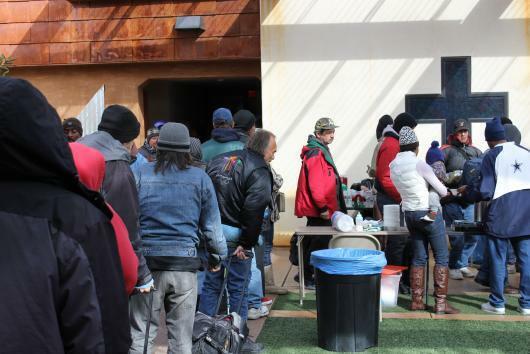 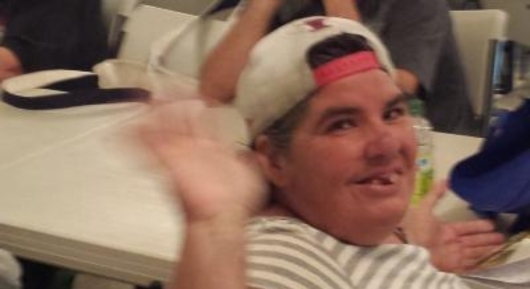 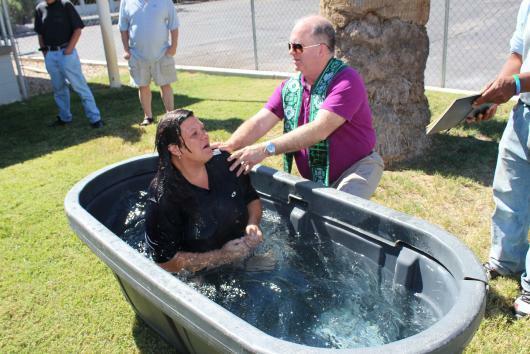 It's goal is to bring The Gospel to, and build a community of faith among, a unique and diverse population; including the poor, homeless, and near homeless of Las Vegas, Nevada. 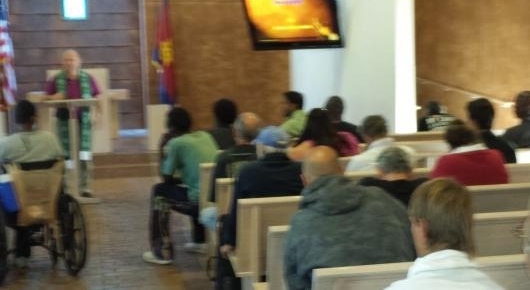 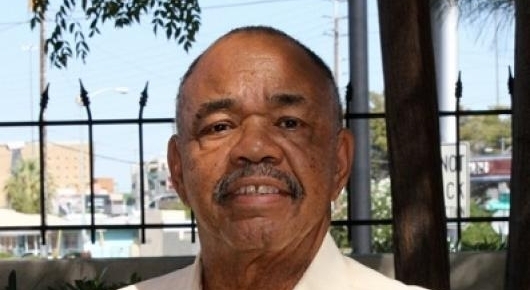 It accomplishes this by providing worship services at locations to which this population has access, and by transporting members of this population to these services' respective locations. 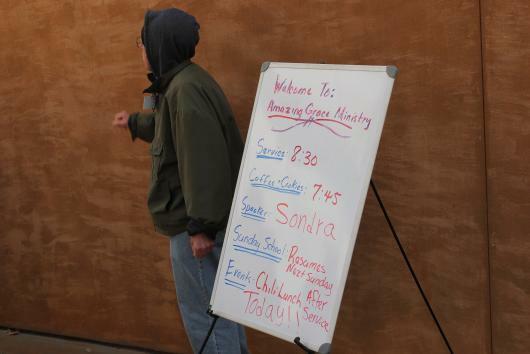 The Ministry currently has two services; one on Sunday morning, and one on Wednesday evening. 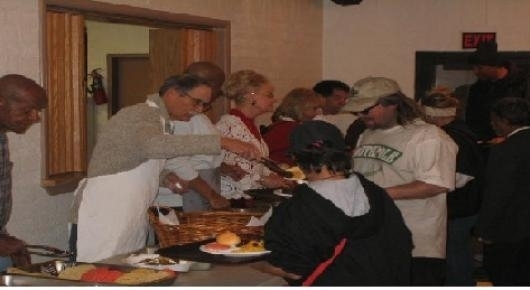 Prior to the Sunday service, a continental breakfast is served and distributed. 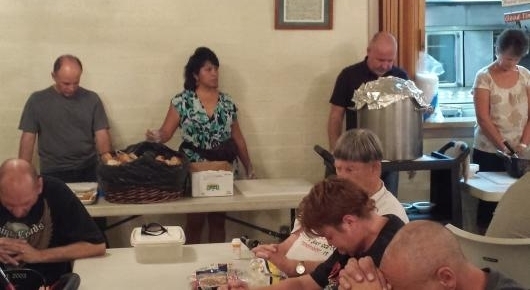 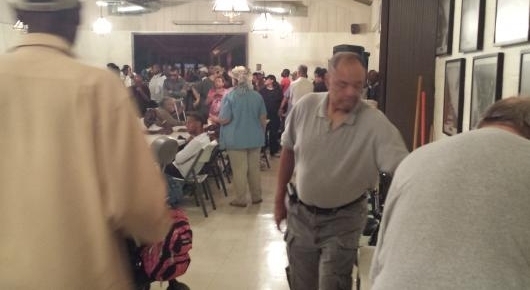 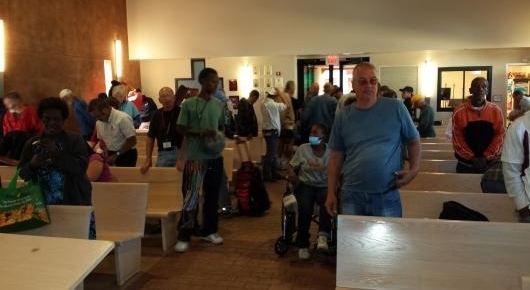 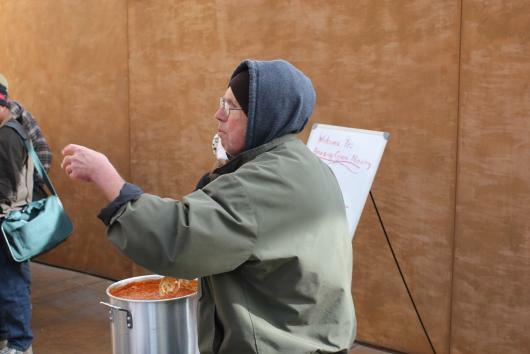 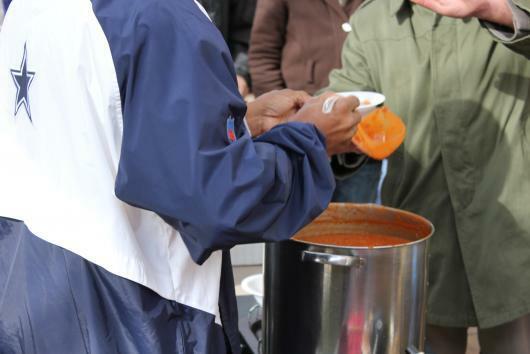 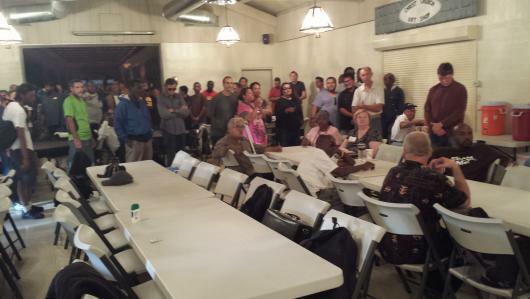 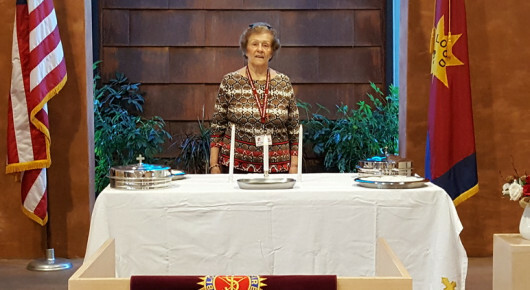 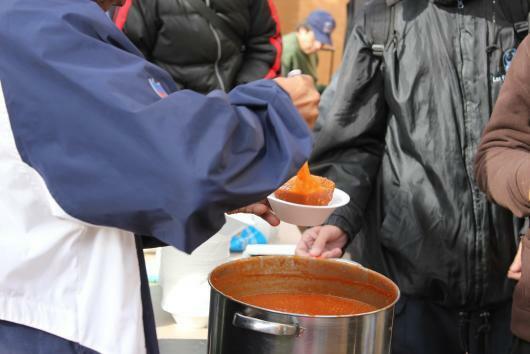 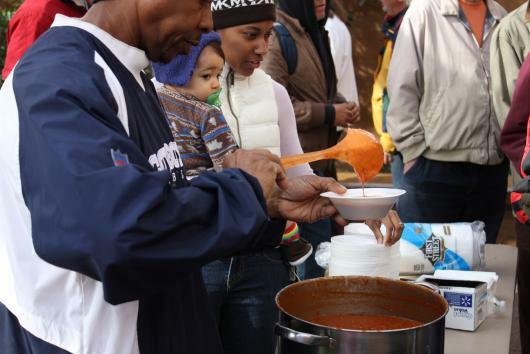 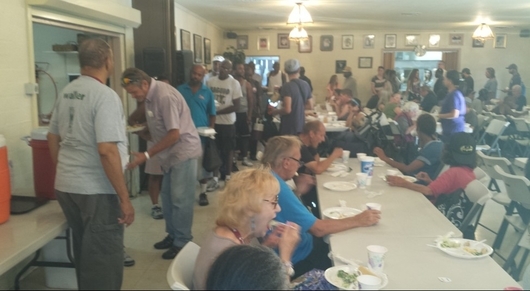 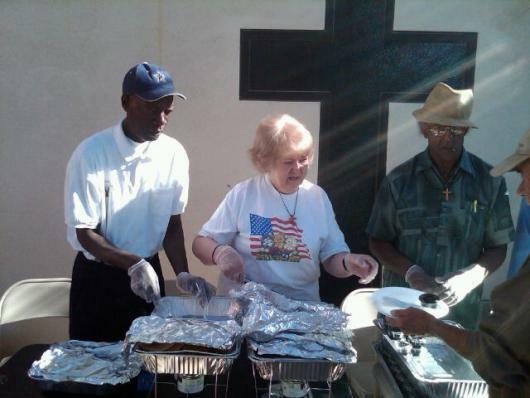 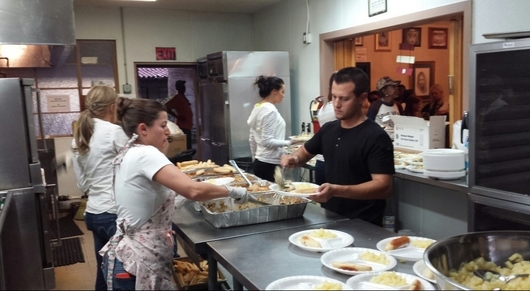 Prior to the Wednesday evening service, a full-course meal is served and distributed. 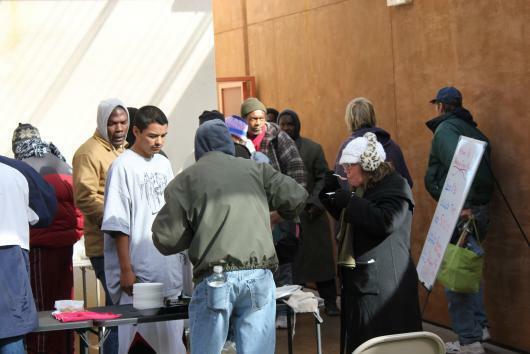 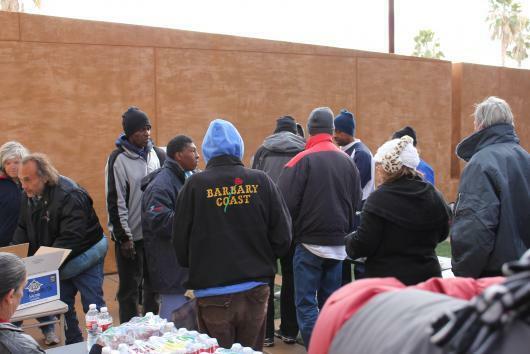 The Ministry also distributes Bibles, clothing, diapers, bus-tokens, and other incidentals as available and necessary.